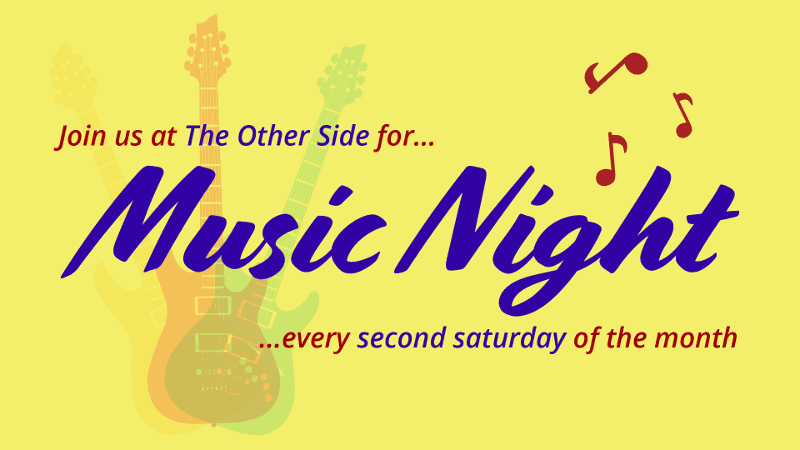 Live Music Night occurs every second Saturday of the month at The Other Side. So bring your instruments and sing some karaoke with us! We will also have live bands and DJs performing on occasion, so come ready to rock out and dance until your feet hurt! Please call ahead or check our website to make sure we’re open on holidays. Register for Event: Live Music Night!